I was co-moderator for @krivett1 as she presented ‘Literacy in the Digital Age’. @mrsdkrebs was the main moderator and I learnt from watching her. 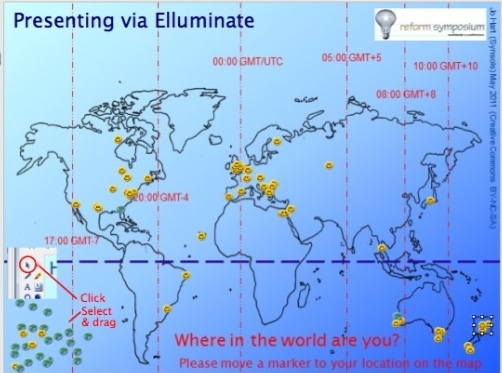 I had been a participant several times during elluminate sessions but when the message came via twitter for helpers for rncons3, I agreed to help to see what it would be like and to find out more about the global free conference. Now the conference itself would be another whole blog. This time I just want to focus on the tool because it was one of my personal goals this year to find out more about elluminate. How do I set up a poll? I still have to work on that. 2x Elluminate windows should not be open- so look at the bottom of the screen. This causes echoing. As a moderator- sign on early and set up your profile so that participants can learn more about you. Add a picture. Communicating on line requires a personal touch. Always have a map for participants available as it is interesting to see where everyone comes from. It took me a while to figure out how to add a map. One neat idea was having little smiley faces that people could plot onto the map. Get the participants to test that you can be heard. Use the smile to indicate whether you can hear the presenter. Then have participants use chat to inform what the time is, and what the weather is like. Have a video start to introduce yourself and then switch it off to save bandwidth. As a mediator, I noticed that more tools show up. I have set up my own room and here is the link. Unfortunately you can have a look and if I am not there nothing will be happening. 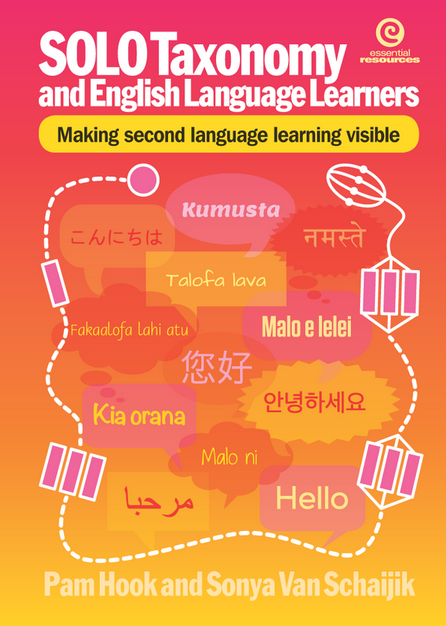 When you sign on as a participant to an Elluminate session use your twitter name like @vanschaijik. That little gem took me a while to figure out. When presenting- get the audience to add a smiley, or a hand clap to give a sign of participation. The chat can be quite distracting so if you are presenting focus on sharing. The mediator will be interacting with the participants for you. Use images and simple phrases- do not use lines of text. Because the audience is hearing only a voice, reading the screen- becomes death by powerpoint. Think of how Lessig presents. Single words and images. I am going to have to redo some presentations. The computer screen can be shared if you want to have a look at some websites, but again band width can be an issue. So upload your presentation to the system and try and have links available on a word document to copy and paste into chat. You can copy and paste URLs onto a working sheet. Hyperlinks and animations do not work. Remember to thank the moderators after the event. Get on early and test everything before participants arrive and do not leave. When you exit the room you loose all your slides and have to start again. Room settings cannot be saved. I have been involved in a few elluminate sessions but tonights by @shellterrell was one of the best. She obviously had presented via Elluminate several times and I learnt heaps from just listening. She spoke about setting 30 goals. She writes about some of the challenges that can be encountered when being a moderator. Thanks for this feedback and suggestions for setting up a poll. Please let me know if you are running training sessions. I would love to be part of a session with you. The easiest way to set up a poll is to create the questions in a PowerPoint slide. You can have links in your presentation. Paste them as texts in the whiteboard, and save as a .wbd file. We'll be creating a comprehensive FAQ for RSCON4, so stay tuned! I'll be proposing more training sessions, too, and possibly at different levels. Again, stay tuned. Keep the engines revving!